Here is the full text of my review of “The Kingdom Of Women” by Choo Waihong, which was published in a slightly different form by South China Morning Post. This book by Choo Waihong suggests all of this, and more. In fact, her book is the tale of her encounter with what might be the last society on earth that is both matriarchal (female-dominated) and matrilineal (where bloodlines run from the mother rather than the father). The Mosuo tribe in western Yunnan survives on subsistence farming, has no institution of marriage, has adopted many practices of Tibetan Buddhism, has a largely communal economy, and which was largely illiterate (a handicap now fading as the Chinese state has opened more schools nearby). Choo first encounters them during a holiday upon taking early retirement from her job as a leading corporate lawyer in Singapore, and gradually comes to spend more and more time there, having a house built for her and gradually integrating into Mosuo society. She eventually becomes godmother to a young girl, helps sustain a local festival that was starting to pass into desuetude and funds the education of several promising youngsters. She then spends several chapters explaining Mosuo society, its rites and rituals, its forms and behaviors, making clear that as a feminist she thinks their matriarchal culture superior to the strict patriarchal society in which she was raised. Choo is no Lévi-Strauss or Marcel Mauss – she totally fails to consider how a subsistence economy might affect Mosuo culture, for one thing, and seems unaware that many of its communal economic practices will be familiar to anyone with an experience of poverty – but we get some strong insights into the tribe’s matriarchal society and culture, and come away impressed by her passion for the Mosuo, her dedication to improving the lives of those around her and her feeling for women suppressed by the strictures of a patriarchal society. Some of the Mosuo society’s practices are fascinating, evidence of a society with an entirely different guiding principles. Children are born only to their mothers, as it were; fathers have no parental claim, though they can choose the degree of their involvement. There is, likewise, no institution of marriage. Women can have an axia (in our terms, a common-law partner) for as long (or as briefly) as they like – there is no practice of life-long monogamy. This, unfortunately, has given the Mosuo rather a reputation for “free love”, that euphemism for sexual indiscriminateness, which tourists rather pathetically try to use to their advantage. Mosuo women in fact approach relationships with the level-headedness of a society that scratches a living through grueling manual labor (chivalry being perhaps entirely coeval with surplus production? ), neither treating the subject as taboo or as the cause of hysterical laughter. Choo rightly contrasts this with the dreadful treatment of “leftover women” elsewhere in mainland China and finds it superior. Mosuo men thus have no say in the finances or land of their “family”, and little say in their upbringing of their children. But there are compensations. They are free to flirt and flatter, to peacock and to seek trysts (sese). They are admired for their physicality: whether they have broad shoulders, strong hands, and look strong enough to handle manual labour, which, of course, it is their duty is to provide. Serenading, performing and masculine swaggering are likewise part of male culture, developed from adolescence. Peacocking is of course critical to male courtship rituals throughout the animal kingdom. As in other tribal societies, Mosuo wooing is more performative than in cultures where material possessions take precedence. Improvising serenades, courtliness, eye-gazing and dancing and swaggering may all lead to a sese. Choo insists that Mosuo society is better for men, too. I am not so sure I agree. [T]he reader wants that impure thing, literature – plot, suspense, characters, ups, downs, laughter, tears, all the rest of it… Your narrative isn’t a story… Now I can quite see that to “play about” with the kind of subject matter you have would seem heartless, frivolous, even untrue, an offence against decency or decent feelings, something you couldn’t do, and yet in literature it somehow has to be done – one might almost say it’s the mixture of truth and untruth that makes literature. Choo has, similarly, given the reader a series of events about her experiences with the Mosuos. But for the reader this isn’t enough. Her tale lacks the narrative arcs and scene-setting and character development that make for a well-told story. Literature in its broadest sense is not just events blurted out the page, it is experience distilled and given shape, and it is in that shaping, sculpting and remoulding that we can perceive the artfulness of the writer. Choo as a first time author unfortunately lacks the experience and the judgment to know this, or to be able to put it into effect. The early chapters, where she writes about her experiences with the Mosuo, are thus the weakest; the later, more thematic chapters on the forms and functions of Mosou society are rather better. The structure is the right one, for we need to know her story amongst the Mosuo before she draws upon her experiences to draw conclusions and yield insights. But these early chapters, which should have vivid drawings of the setting and the personalities of the Mosuo tribe, unfortunately feel more concerned with Choo’s minor undertakings in settling there. She may feel that this is how things happened, and that she is being true to her experience. But that’s not enough. We need distillation, reshaping, artistry. In chapter 1, for instance, Choo describes how she first came to Lugu Lake, where the Mosuos live. She depicts the Gemu Moutain Goddess Festival, and encountering “a friendly face” who guides her through the ceremony. This is a girl named Ladzu. It’s not until chapter 4 that we learn that Ladzu is 14, nor do we get any more physical or mental characterisation. Choo mentions Ladzu’s mother Gumi several times without thinking to describe her at all – there is literally nothing about her age, physical appearance or personality. On several occasions names pop up and you struggle to remember who they are. The setting likewise feels vague (she describes Lugu Lake as “an intense azure blue, the bluest blue I had ever seen”, as though repetition will suffice), and the narrative jumps here and there too often for comfort. Her prose, similarly, does not impress. In many ways I really believe I am accepted because I am a woman welcomed in a woman’s world. In this female-dominated bubble, no one thinks it strange that I am a lone female who goes about happily on my own. The Mosuos, both women and men, are accustomed to the presence of a strong woman mainly because every home has one. The Mosuou are really a kind of flattering mirror for Choo, which is a pity, for obstructed by the author’s self-regard, The Kingdom of Women is a fascinating portrait of a lost people which struggles to be told. 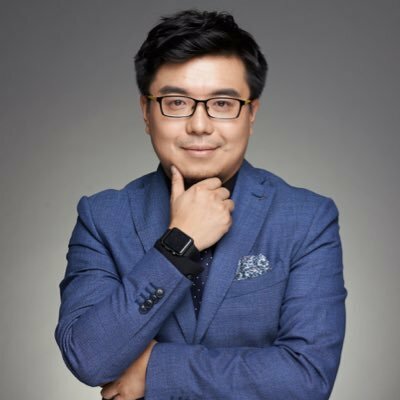 Dr. Lu Gang is the founder and chief editor of the indispensable TechNode.com, China’s leading tech website, with news on apps, startups, funding rounds, acquisitions, product releases, and much more. He has also founded his own startup kuukie.com and the tech awards ChinaBang. He took the time to talk to Business Tianjin about his passion for tech, industry ecosystems, and following his heart. What led you to study at the University of Sheffield? What did you think of the city and the UK as a whole? We need three years to finish an MSc degree in a Chinese university, which I felt would take too long. So I quit university in China and went to the UK because an MSc requires only one year of study there. I did a BSc and an MSc in Electronic and Electrical Engineering, and a PhD in Computer Science specializing on wireless communications. The Electronic and Electrical Engineering department of Sheffield University used to be the best in the UK, so that’s why I chose to study there. I still miss the UK very much, especially the peaceful life there and the blue skies in summertime. But its pace of life is rather slow, better for retirement than for a career. What inspired you to start Mobinode/Technode? What were your sources of information at the time? My PhD research topic was wireless ad hoc networks in which every node (object) with an antenna is described as a Mobile Node. Therefore when I set up my blog, I called it MobiNode, to suggest “Mobile Node”. When I started, I had almost no direct sources. If I heard of any interesting startup/service, I would find its website and try to email any contact address listed on the sites asking for an interview. What is/was kuukie.com, and what is the story behind it? Kuukie was a customized online printing service. Users could just upload their own photo or image on the website, choose the product (business cards, postcards and so on) then place the order and have it delivered within three days. Kuukie’s idea was originally from a company in UK, where at that time lots of startups used it to print business cards. I found it quite interesting, so set up kuukie.com basically wanting to copy the model across to China. How would you describe the Beijing tech startup scene and culture? What help is out there for founders? How does it compare to Shenzhen, for example? Beijing is the number one tech startup city in China. It has the most mature startup ecosystem, I would say, with media, startups, venture capital and government support. Beijing’s startups are very diverse, but most other cities have their own focus, like Shenzhen is on hardware, Hangzhou on ecommerce, and so on. Can you describe the role and influence of venture capital on start-ups? Which VCs and incubators have the best records? They are no doubt one of the most important driving forces for innovation. In China, money is not a big issue because hot money is everywhere, but startups need smart money which can not only bring financial support but also the knowledge, experience and resource to help them grow fast. In China, there are good ones, like Sequoia China, IDG, Gobi, Matrix and more besides. What do you think of the domestic and international media coverage of the Chinese tech sector? Has it changed in recent years as Alibaba and others have gained international prominence? The Chinese tech market has been booming in recent years, so we’ve seen numerous new Chinese media outlets set up to cover the Chinese tech sector, which is good for the ecosystem. We see more and more Chinese startups aiming for the overseas market, but coverage of the Chinese tech sector in the international media is still quite limited. The media business in China is hard, you have lots of headache issues, such as copyright and fake news; and doing tech media is even harder, because reporting is one thing, but being engaged with the ecosystem is key to understanding the domestic market. How did you get the ChinaBang awards started up? Who are some of the startups have you honored? Back in 2012, I found there were no awards in the Chinese tech sector to pay tribute to the best startups of year. In fact there were many awards which were very dubious, basically you could simply pay for them. Startups don’t have that money but need a stage to be highlighted and encouraged to move forward. So we created the ChinaBang Awards to honor the best startups of the year, and we’ve been doing it for five years now. We are very proud that we have seen quite a few startups that used to be small now become unicorns (valued at over $1 billion). To give some examples, Momo only had 500,000 users in 2011 and it has now has an IPO, Didi had only 30,000 users in 2012 and is huge now, and even WeChat only had 20m in 2013 and now is the super-app for all of China. What are best new tech startups you know of – who has a chance of being the next BAT (Baidu, Alibaba, Tencent)? It’s almost impossible to beat BAT in China, but we may see some BAT-like companies in some vertical markets. One of our reporters has written a very interesting series of articles about the next BAT; they could definitely be out there. But only time will tell. Can China’s tech scene rival Silicon Valley, do you think? What does it need to do so? I hope so, but it will take a long while to reach that goal. China is taking the lead in some sectors, such as mobile payment, ecommerce, and drones, but we have to admit that Chinese market is still market-driven rather than technology-driven. We need to see more companies like Huawei and DJI. You’ve moved from writing a blog to a being an authority on the whole tech scene. How have you managed to “scale up” in such a fashion? By following my heart. I am doing this not because I want to be a figurehead or an authority on the field. For many years I’ve believed what I am doing will bring value to the industry and to the startups, and I love doing it. I know quite a few bloggers who started their blogs even before me, but now I might be the only one who is still writing. I am not the best writer; I just keep going with no fear. Startups are notorious for long workweeks. How is your own work/life balance? I am a proud father of one boy and one girl. But I feel sorry for them because I am always very busy and travel every week. So I try very hard to avoid travelling during the weekend and spend time with the family as much as I can, and even force myself not to use a phone or laptop when with them. What are your hopes for TechNode? I hope to make it more influential in the global stage and to be the number one tech gateway between China and the world. Rarely have I felt so conflicted about a book as with The Wangs vs The World. As a novel it has does many things well; as a debut, it is unusually accomplished, its prose extremely competent, its narrative arc deftly handled, its characters (mostly) vivid, its dialogue true to life. Yet at many points I found myself grinding my teeth in groaning impatience. When it comes to fiction I like compelling characters that live on in your heart. I will never forget Frodo, Sam and Gandalf from Lord of the Rings, say, or Patrick Bateman from American Psycho. They do not have to be pleasant – they don’t even have to be sane – but they do have to be interesting. 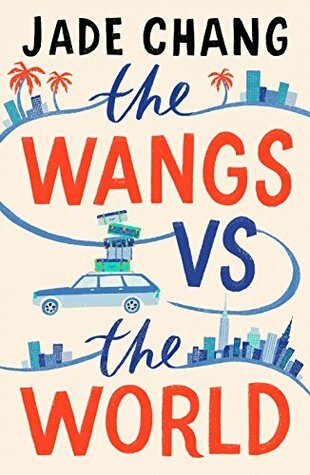 What I found infuriating about The Wangs vs The World was not the characterization, which was always competent, but the main characters themselves, and the author’s attitude to them. Patriarch Charles Wang had become rich in California, but is bankrupted during the 2008 financial crisis. He withdraws two of his children, Andrew and Grace, from college and boarding school (no money for fees) as he decides they must take a road trip to first see his oldest daughter, the artist Saina, in upstate New York then to seek out his ancestral lands in China. So the novel is essentially an American road trip for recent Chinese immigrants, with some elements of “The Pauper and The Prince” mythic reversal. It’s a decent premise. The US road trip has a venerable heritage. But too often it turns out to be Charles’ children and second wife grousing about their reduced circumstances. The poor pampered airheads find themselves in a world where they have to eat hot dogs, travel in an old car, stay in cheap hotels, and sleep on a mattress with bobbles and signs of age, and they find they don’t much care for it. Quite frankly my response was to feel – So what? Similarly, Chang’s prose is deft and supple, vivid with being florid, and metaphorical without verbosity. It is impressive. But I could do without her lovingly describing the accoutrements and accessories of wealth. It’s like the obsessive delineation of brands in American Psycho without the irony. At times, the book reads like a rather more literate version of Vogue, precisely capturing the inane distinctions that make up the sartorial and social judgements of moneyed tastemakers. (This is, of course, Chang’s milieu, having been the West Coast editor of Metropolis magazine, which covers architecture, culture & design). The Wangs vs The World is a perfectly formed expression of the shallowness and narcissism of upper class California, filtered through the experiences of the Chinese migrant family. But money bleaches out the difficulties and differences of international migration – in other words, what would be interesting about it – leaving us with the vapid concerns, the Instagram blogs and fox-fur vests and limited edition sneaker collections, of that demographic. The book deftly yet artlessly captures Chang’s feeling for them. The reader may be more ambivalent.